The rise of Macau is a story that has been well documented over the years. Many have read of this booming microcosm nestled under mainland China, yet few domestic investors/ analysts have ever set foot in this gambling epicenter. After finishing up a stint with a hedge fund earlier this year, I spent the last 4 months in Asia, including 3 months in Macau. I leave very bullish on the region as a whole, having spent a significant amount of time at all of the major casinos and experiencing the massive volume of foot-traffic, the amount of disposable income in middle/upper class China, and the rapidly expanding infrastructure that will continue to drive increases in the number of visitors to the area for years to come. MGM Resorts (MGM), Las Vegas Sands (LVS), and Wynn Resorts (WYNN) all feature impressive properties in Macau and provide a means of gaining exposure, although they remain saddled by their US operations. However, Melco Crown Entertainment (MPEL) is a pure play on the region, while sporting the cleanest balance sheet and fastest growth rates of the group, making it our favorite of the 4 domestically traded casino operators with a presence in Macau. Net revenue for the second quarter of 2013 was $1,295.0 million, representing an increase of approximately 38% from $938.5 million for the second quarter of 2012. Adjusted EBITDA was $330.1 million for the second quarter of 2013, as compared to $203.8 million in the in Q2 2012. Net revenue at City of Dreams was $967.0 million, up from $684.2 million. Total non-gaming revenue at City of Dreams in Q2 2013 was $62.2 million, up from $56.0 million in Q2 2012. Occupancy per available room was 97% as compared to 90%. In City of Dreams, Melco Crown owns and operates one of the most valuable properties in all of Macau. While other casino operators have been hesitant to build a Vegas-style resort in the area, unsure of how they would fare in a much different culture, MPEL ran with the idea and is reaping the benefits. Lodging options include a Grand Hyatt, Hard Rock Hotel, and Crown Towers. City of Dreams also features the House of Dancing Water, a $250m production best described as a Cirque du Soleil 2.0, their best of many shows. Also of note is Cubic, the only major nightclub in Macau, often hosting huge concerts and events. Construction on the final tower, which will be the largest and most extravagant of the 5 when finished, begins later this year and will contribute significantly to earnings/ revenue when complete. The 5th tower will be 1.5 million square feet in total gross floor area, compared to Altira which is only 1 million square feet. City of Dreams is by far the most integrated and complete resort experience offered in Macau. Already one of the largest casinos in Macau, it continues to gain market share, a fact that analysts seem to overlook based on their tepid projections for next year. The current consensus revenue estimate of $5.37 billion FY 2014, which would represent only 9% growth year/year over their FY 2013 expectations. Expected revenue growth of 20-25% is far more reasonable for Melco Crown Entertainment. Macau gaming revenues as a whole are expected to grow in excess of 15% annually. With the most prominent resort/ casino on the strip, the highest mass table yields in the market, and increasing market share, revenue growth should outpace the rest of Macau with no major casino openings slated for the near future. Melco Crown also operates the Altira casino, which has seen revenue and EBITDA grow at rates almost identical to that of City of Dreams, but is about 1/4th of the size. As of June 30th, 2013, Melco is in a net cash position with about $300 million more cash on their balance sheet than debt. Given this strong financial footing, MPEL is poised to grow quickly, and grow quickly they intend to do. 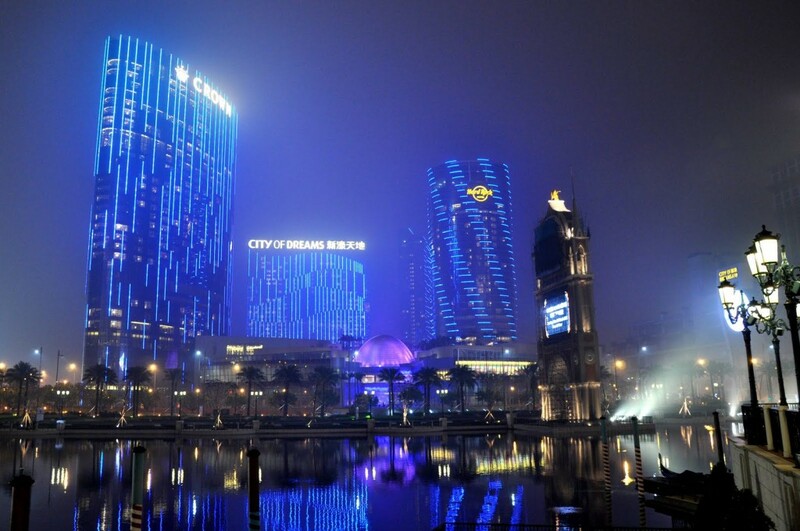 Looking to expand their presence in Macau, Melco Crown purchased a 60% interest in Macau Studio City in June 2011. This $2.9 billion project is slated to open mid-2015 and will be a full integrated resort like City of Dreams, but featuring a cinematic theme. Located next to the Immigration Station, Studio City will be the first and most prominent casino on the strip to visitors arriving from mainland China. To give an idea of the size of this project, consider that City of Dreams boasts 450 gaming tables and 1400 slot machines. Upon opening in 2015, Macau Studio City is expected to feature 400 table games and over 1200 slots, as well as two 5-star hotels and a variety of entertainment and shopping options. It is reasonable to expect Studio City to do comparable numbers to City of Dreams in a few years, which will be a huge windfall for MPEL shareholders. Opening before Studio City, Melco Crown is taking their first steps outside of Macau, teaming up with Filipino conglomerate SM Group to create a $1 billion resort/gaming/shopping complex in Manila. The Belle Grand Manila will feature 950 hotel rooms, 240 table games, and 1250 slot machines. Gambling revenues are expected to grow from $2.5 billion this year in the Philippines to over $10 billion by 2017. Belle Grand is the second of a planned 4 casino resorts that will make up Entertainment City in Manila. Management has recently reiterated that this project is on-schedule and will open its doors mid-2014. As one of only 4 casino operators granted a gambling license in the Manila Bay project, Melco Crown stands to capture a very large portion of this rapidly growing market that is expected to surpass Las Vegas in gaming revenues within 3 years. While WYNN, MGM, and LVS all appear poised to outperform; MPEL is currently the best in class of the domestically tradable Macanese casino operators. Already sporting the fastest growth rates of the group, Melco Crown should continue this trend with their pipeline of properties that will be opening in the next few years, which will more than double the amount of table games and slots they operate. With these projects already funded and MPEL’s strong balance sheet, management has stated that they will begin to look at a regular dividend policy beginning the end of this year. Look for them to continue to seek out opportunities to expand throughout Macau and Asia as a whole. They have been lobbying and supporting gaming initiatives in Japan for 8-9 years and for the past 4 years in Taiwan. Trading at a forward P/E of 20, while boasting growth rates near 40% and opening two massive casinos within the next 2 years, the street seems to be vastly underestimating the sustainability of their growth and operations. As a result I feel MPEL is extremely undervalued when compared to their peers, and shares could easily double by end of 2014. These are exciting times in Macau, and Melco Crown Entertainment’s positioning in the industry makes this one of our highest conviction buys in the market today.